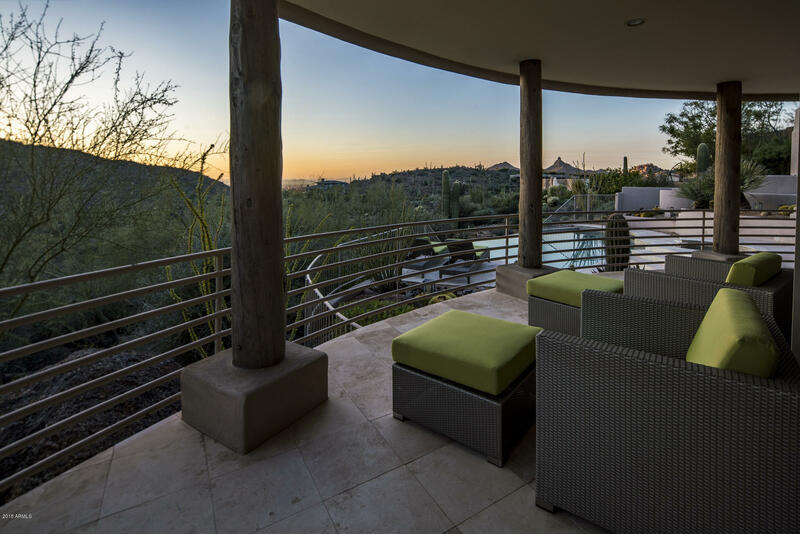 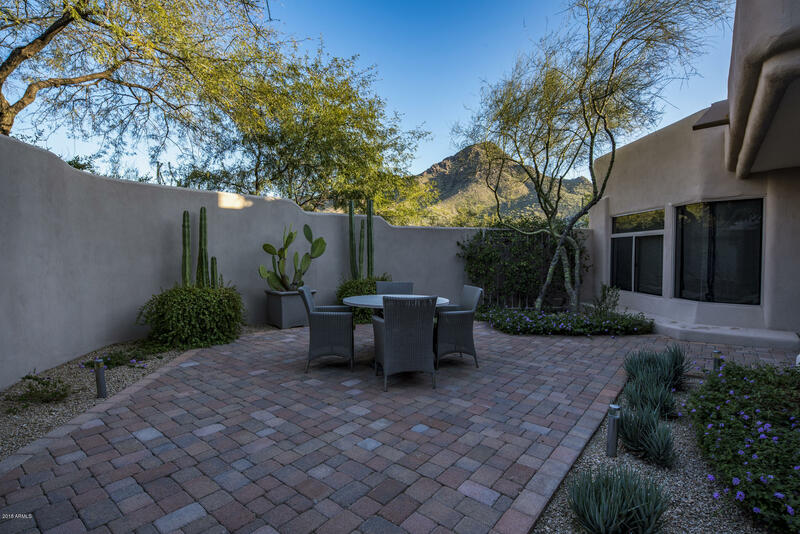 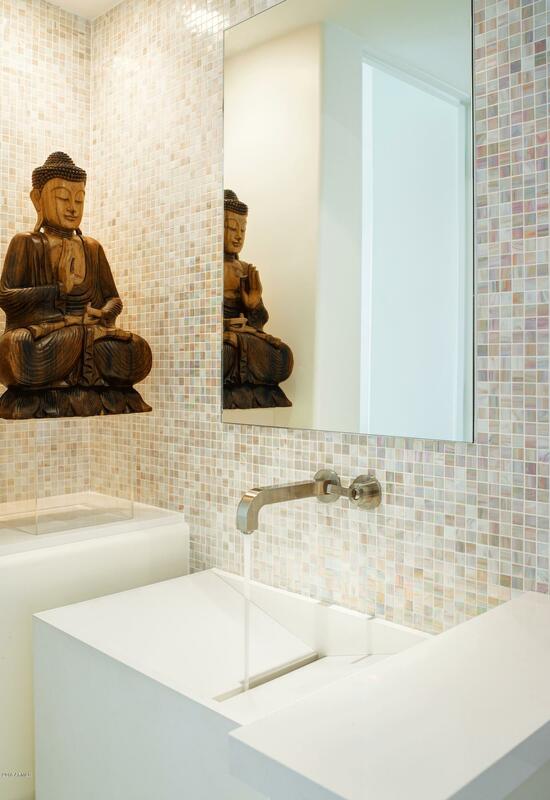 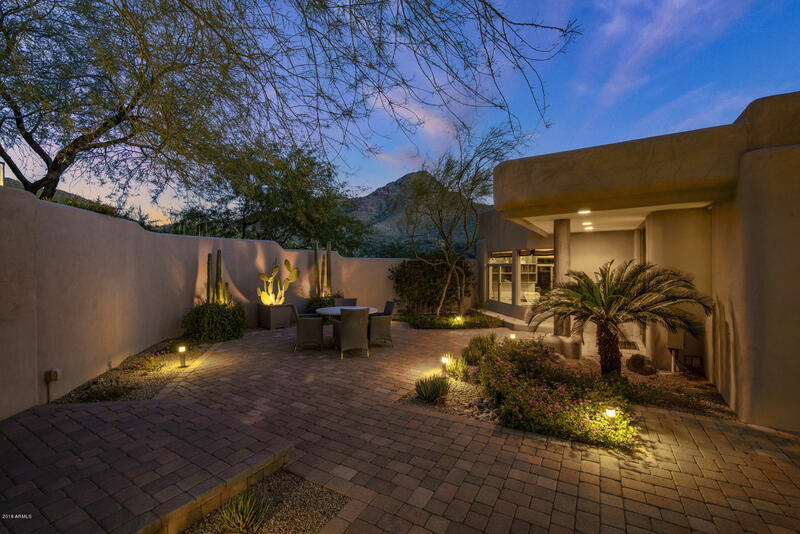 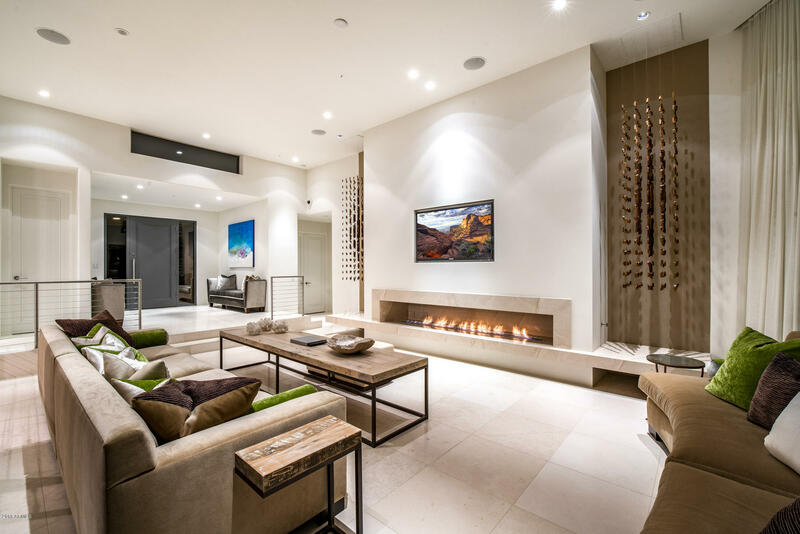 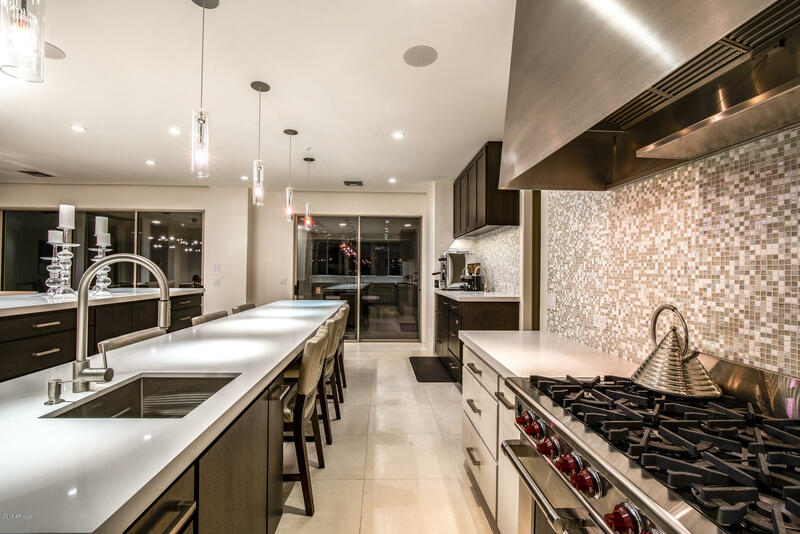 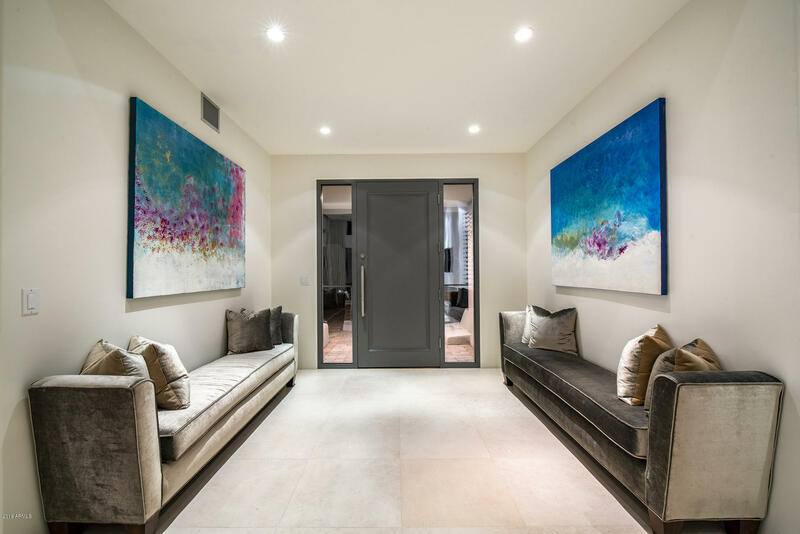 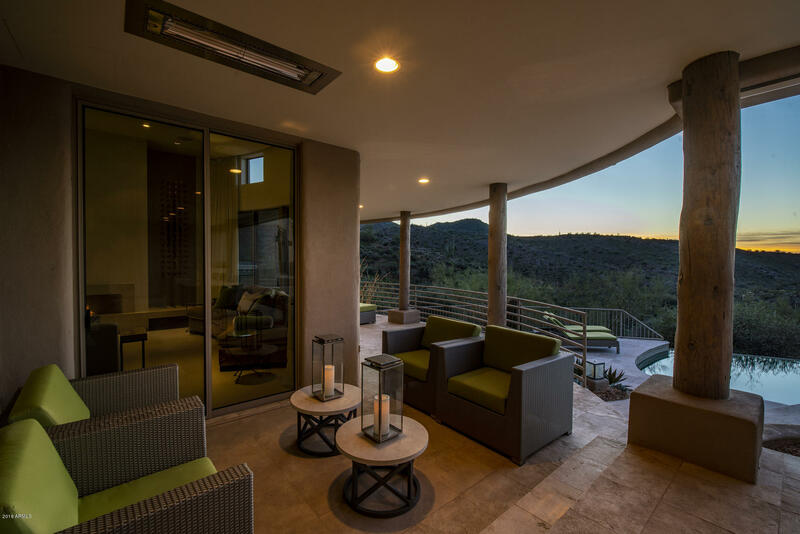 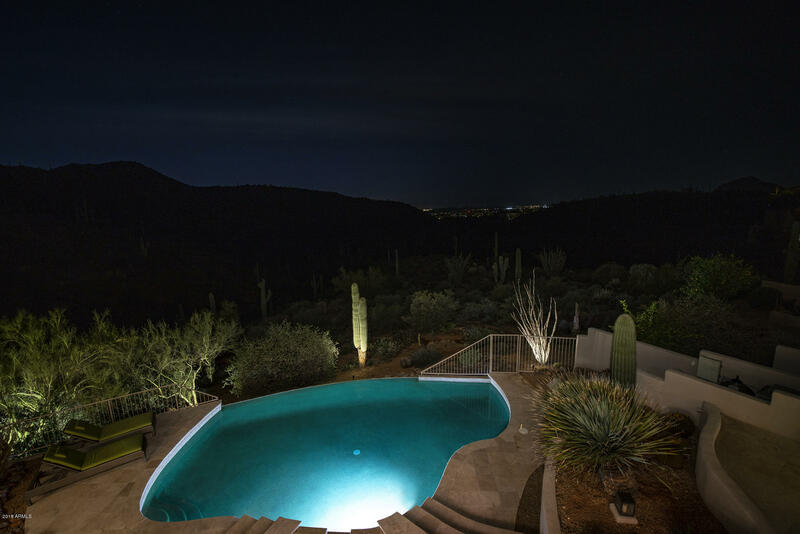 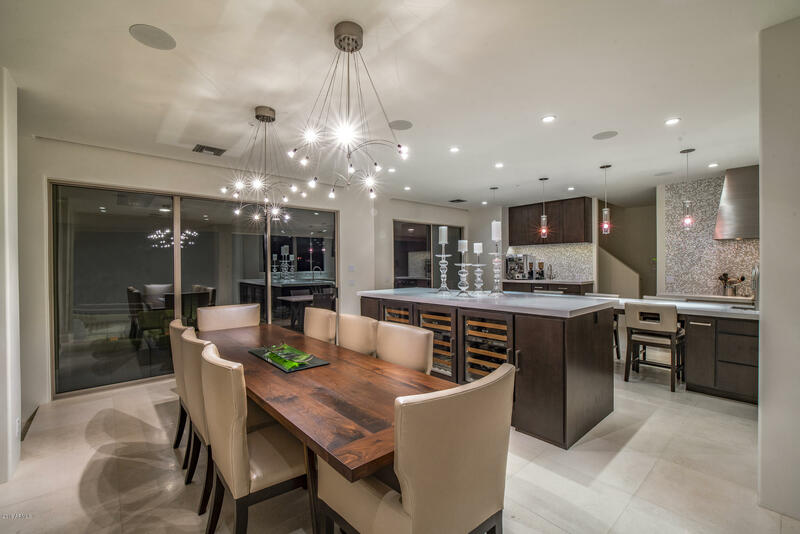 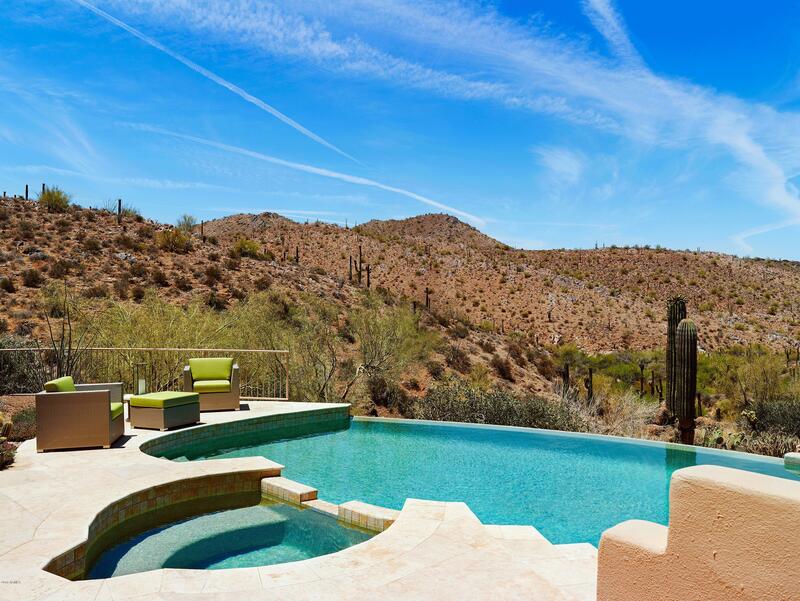 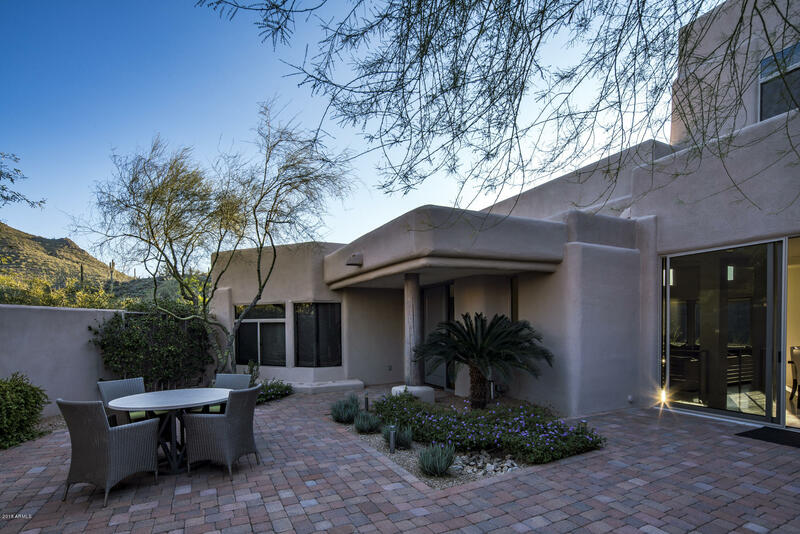 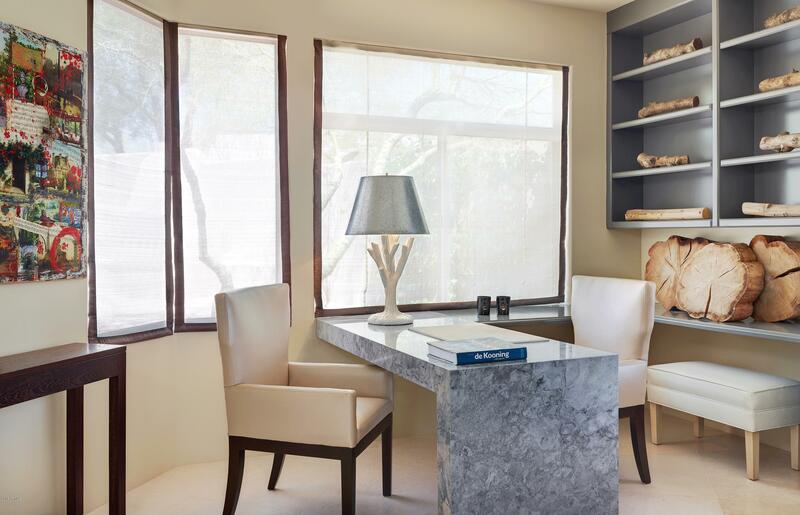 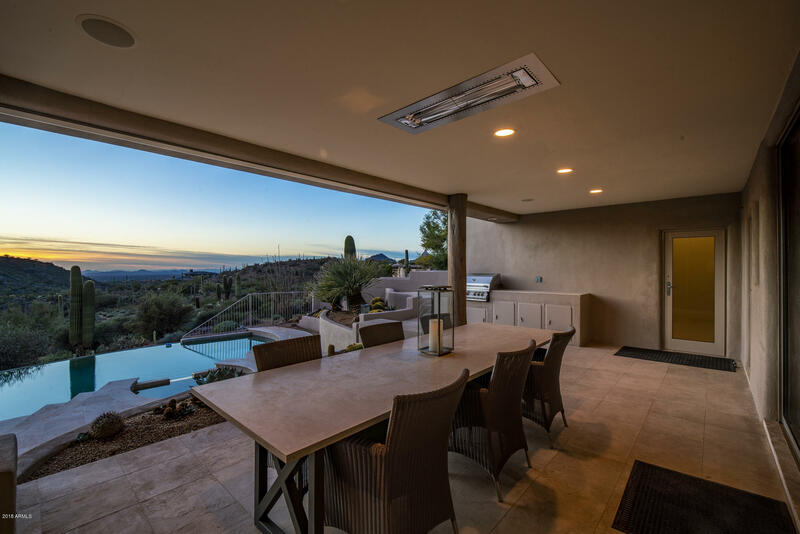 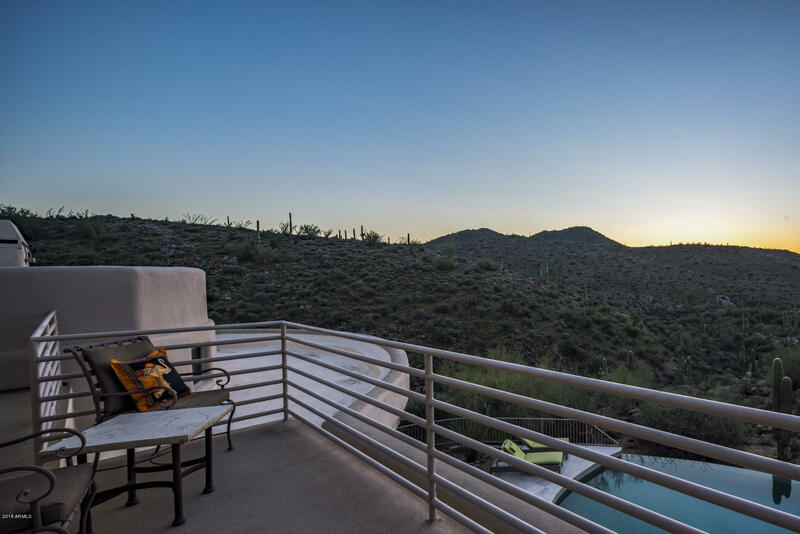 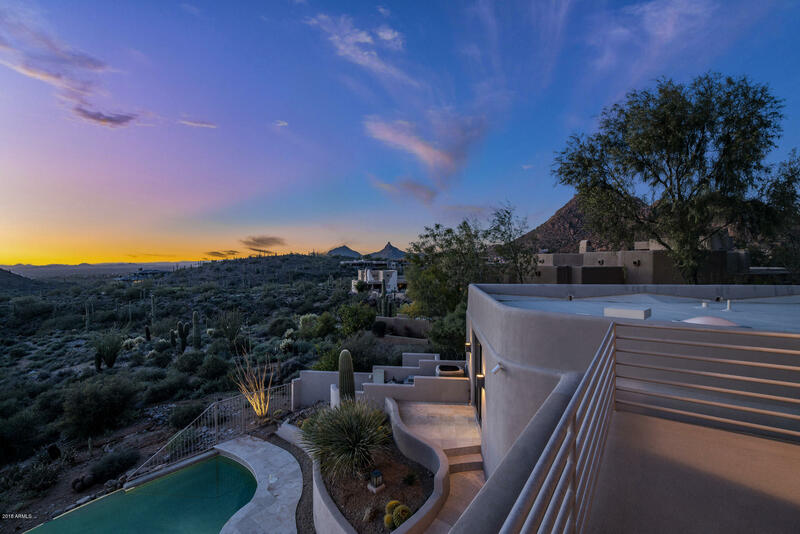 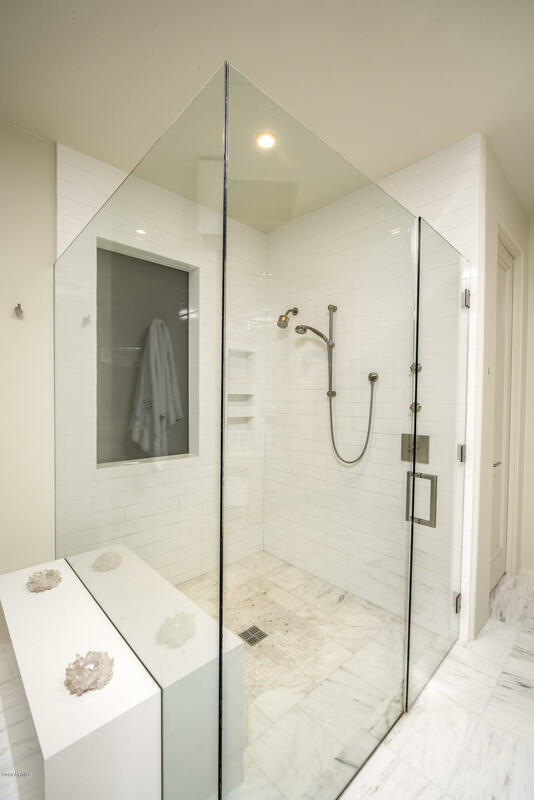 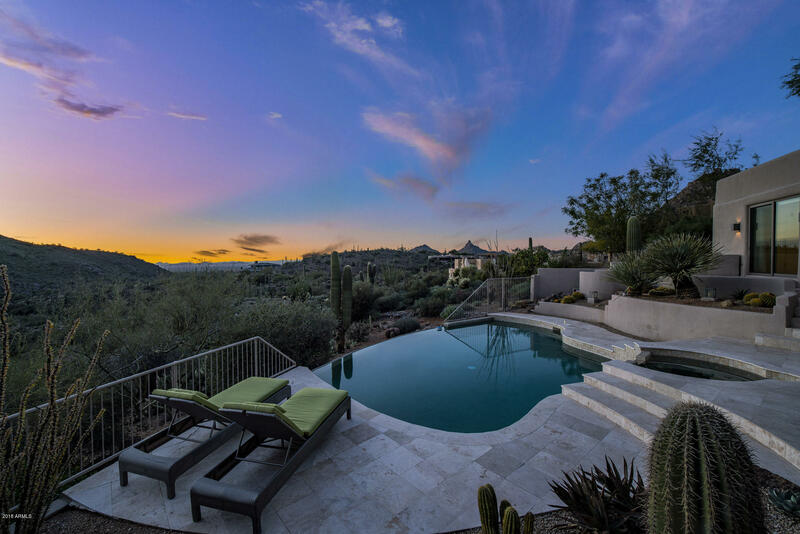 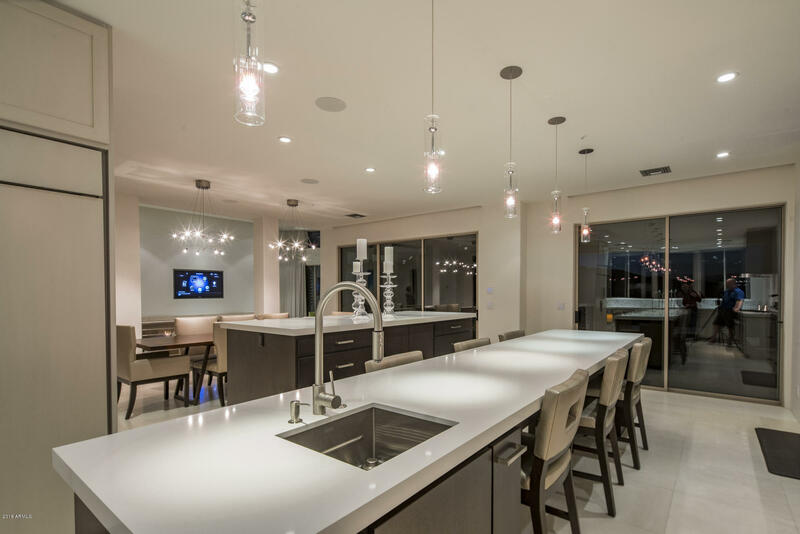 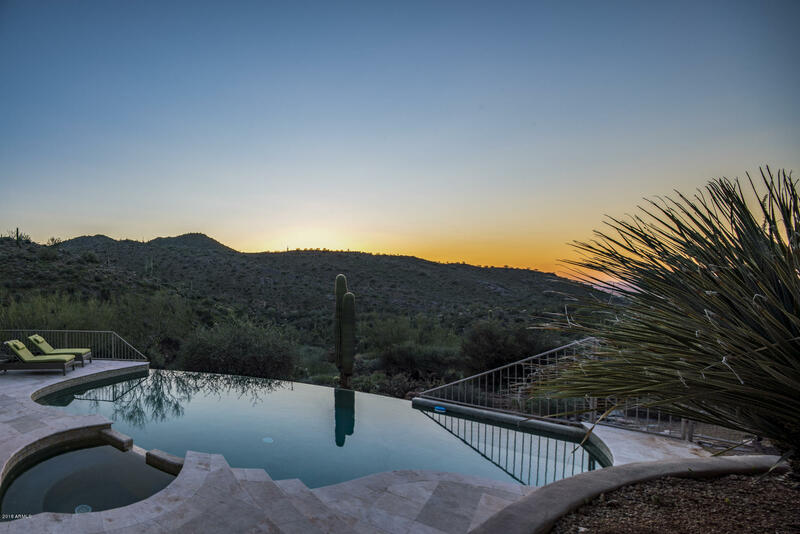 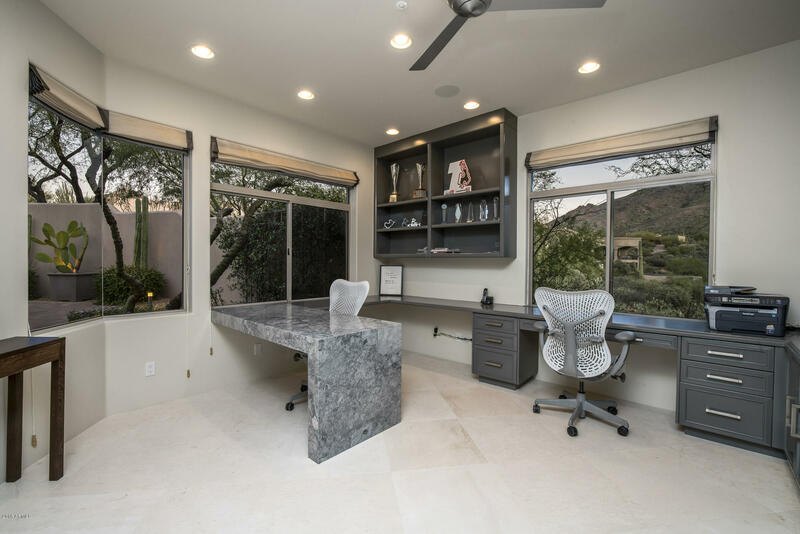 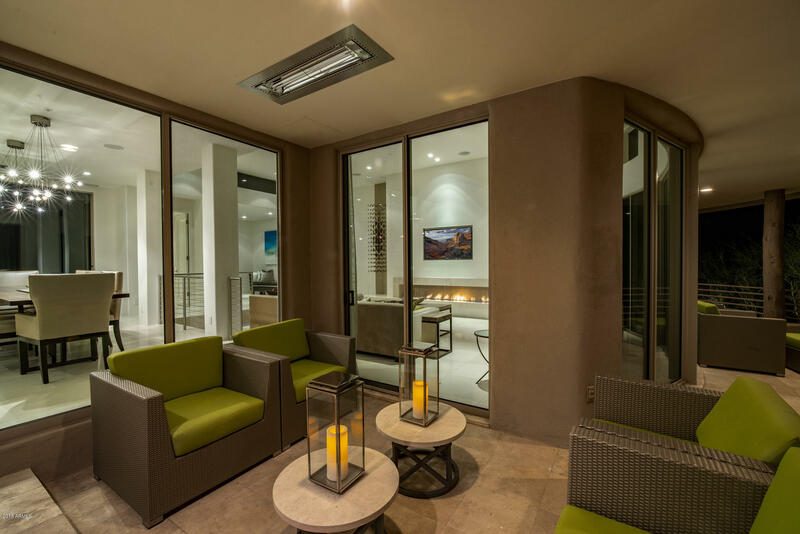 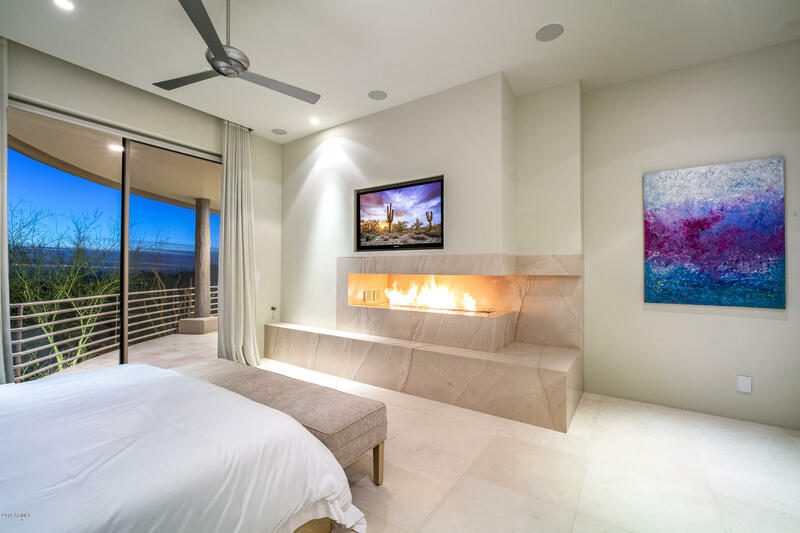 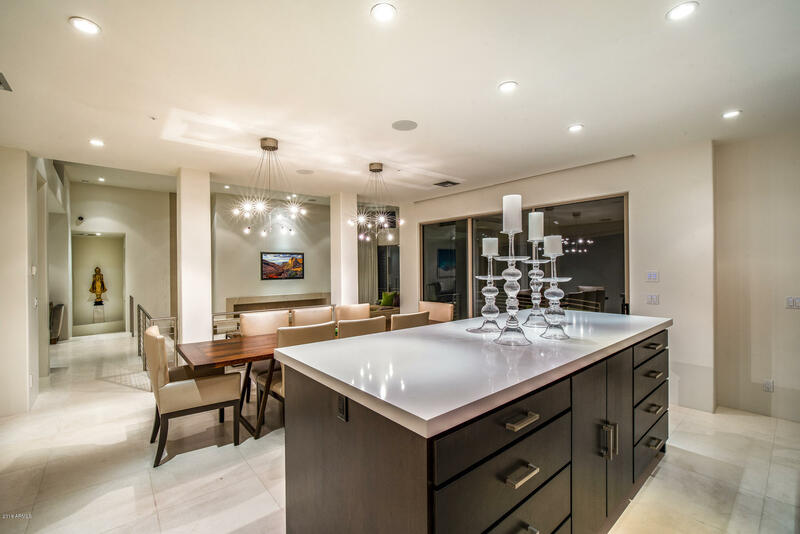 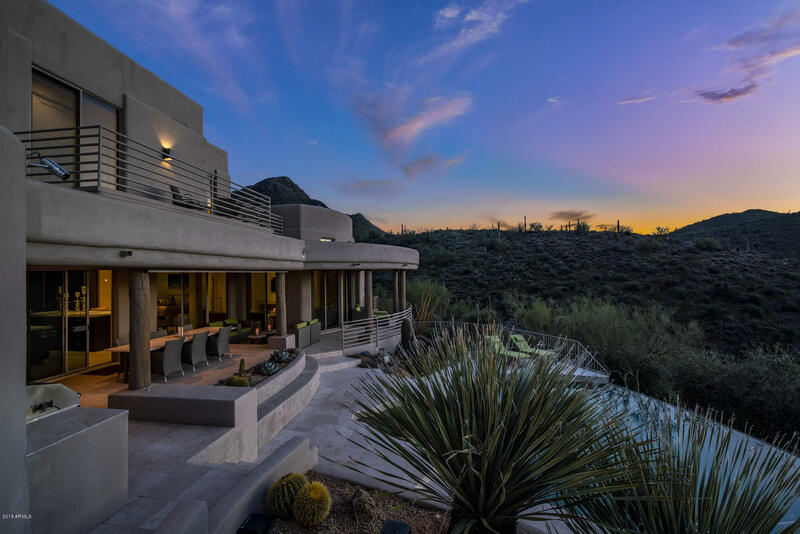 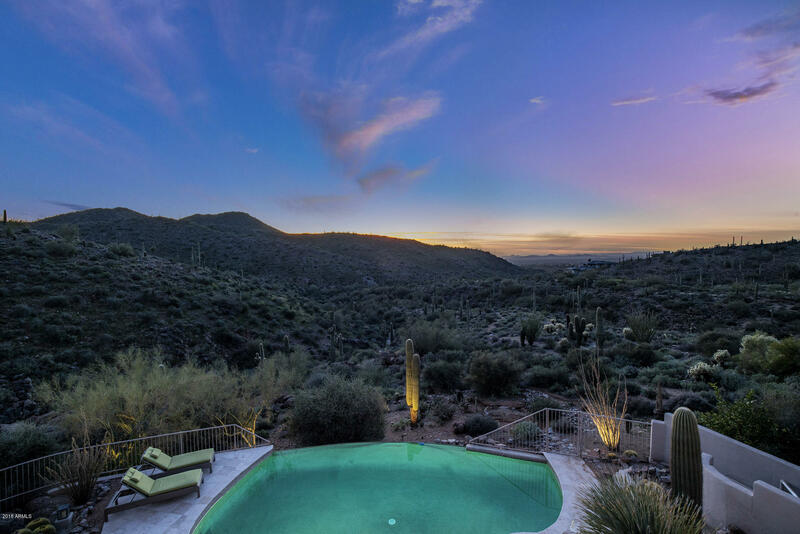 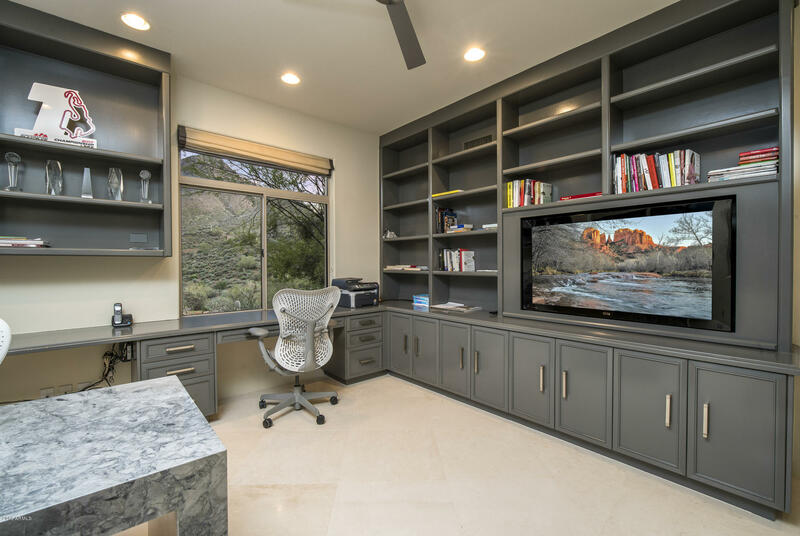 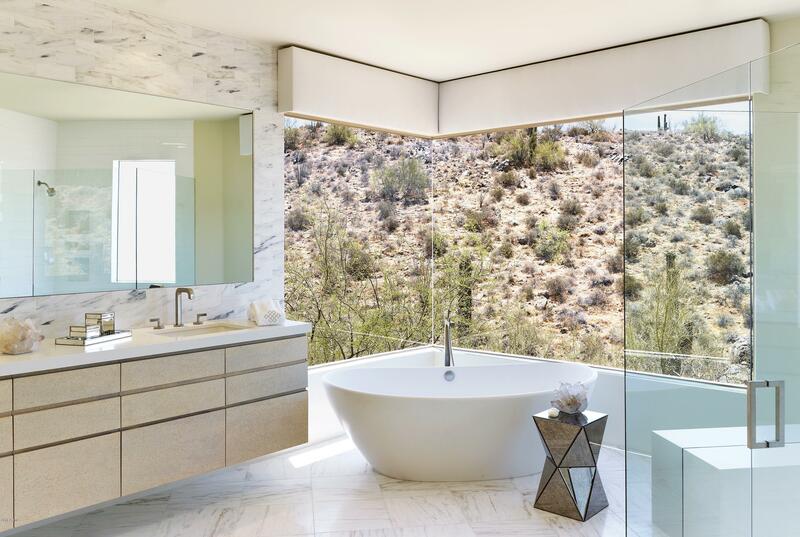 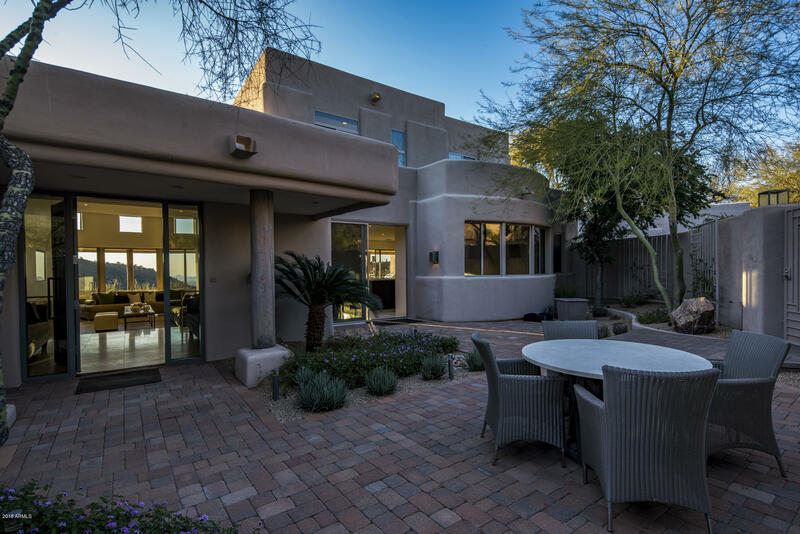 Exquisitely remodeled contemporary custom home situated on a view lot in Troon. 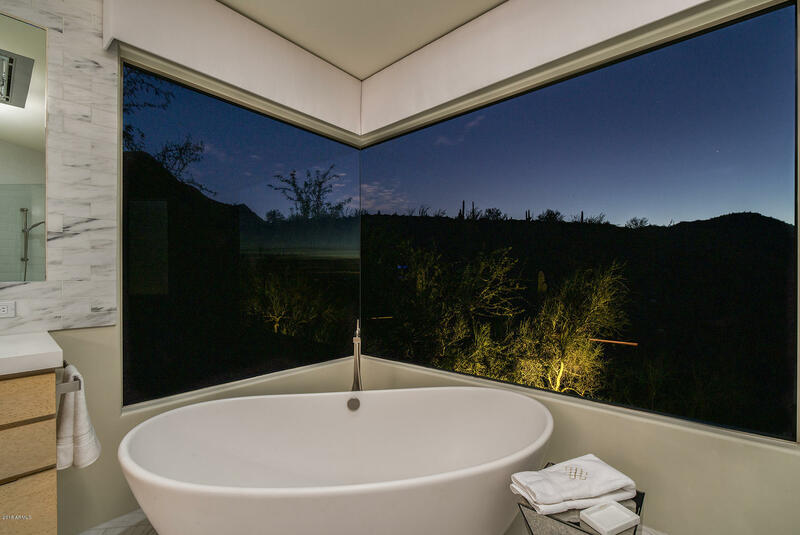 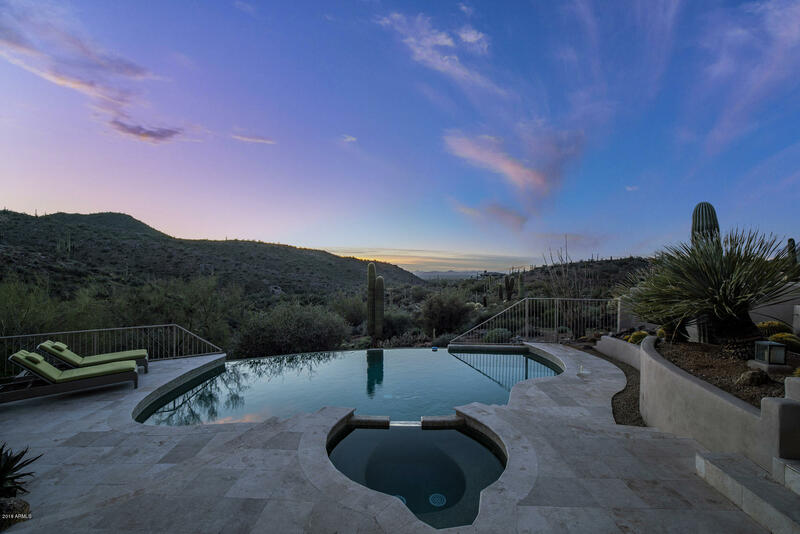 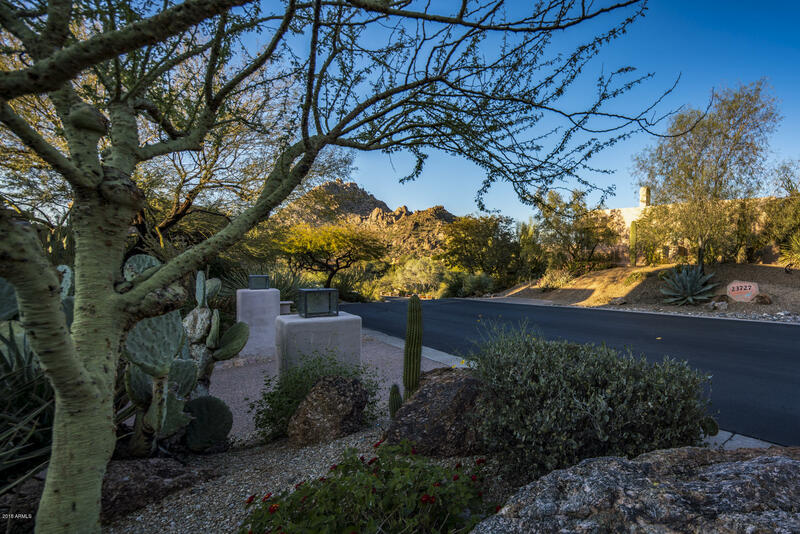 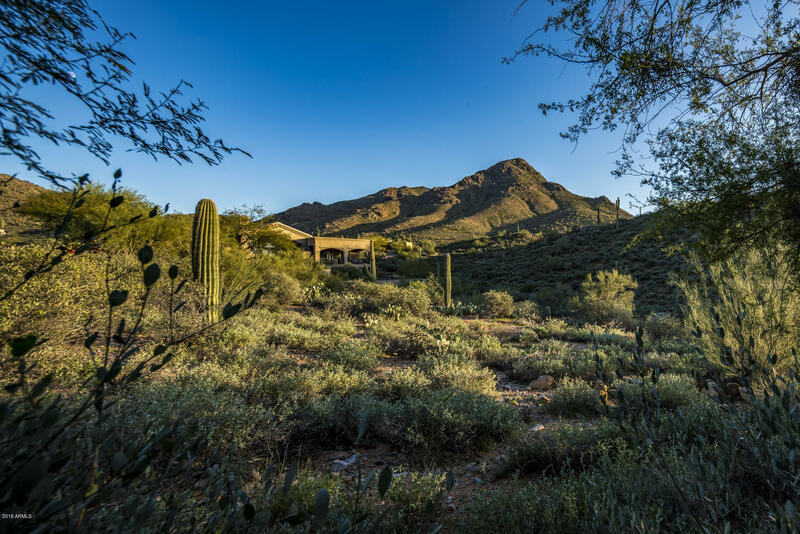 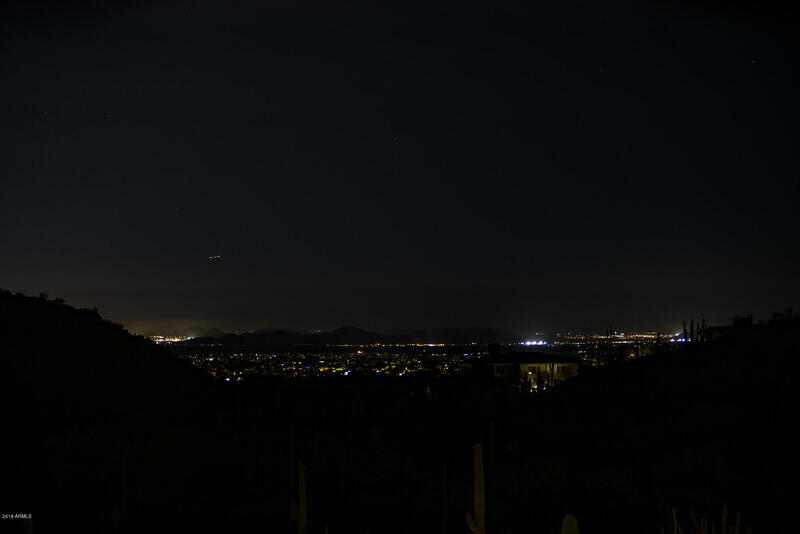 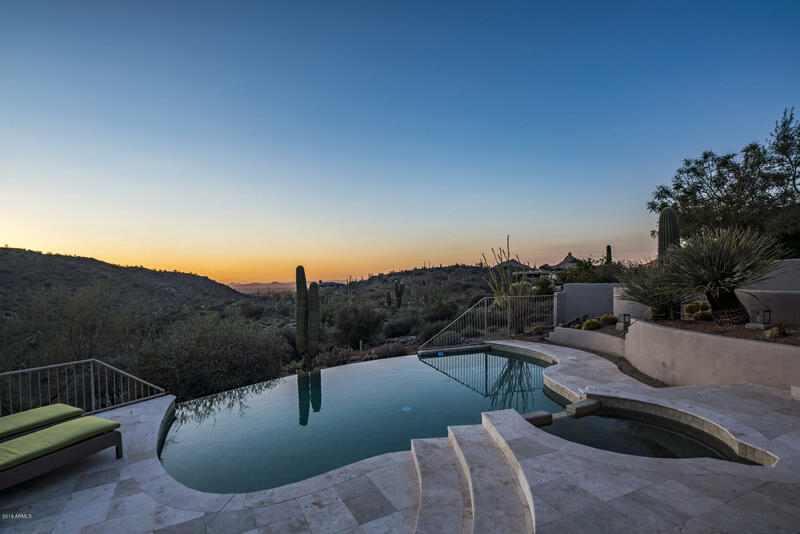 From the moment you enter through the gates of the quaint front courtyard, down valley views offering panoramic city light, mountain and sunset views greet you. 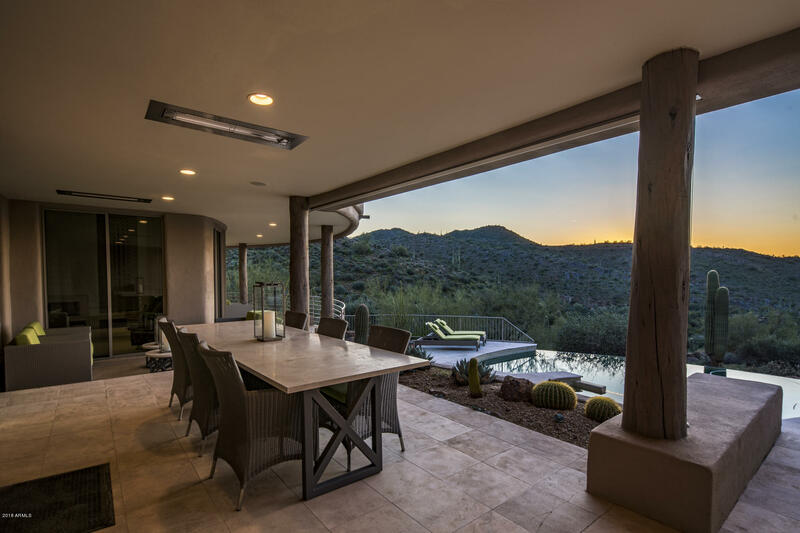 Attention is in the detail with limestone flooring, linear fireplaces, custom lighting & large windows to bring indoor-outdoor living to life! 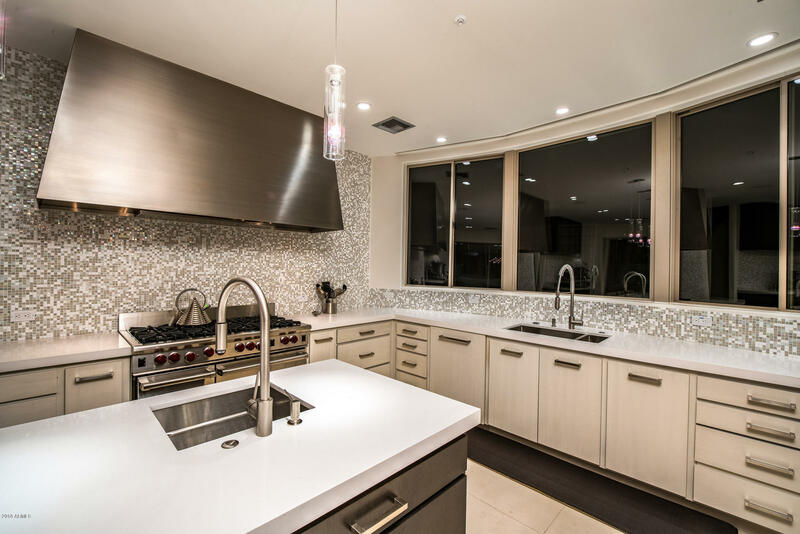 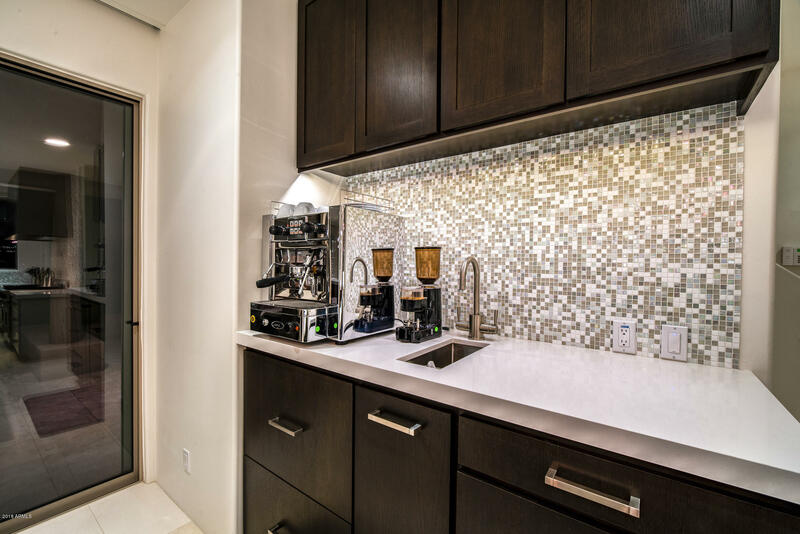 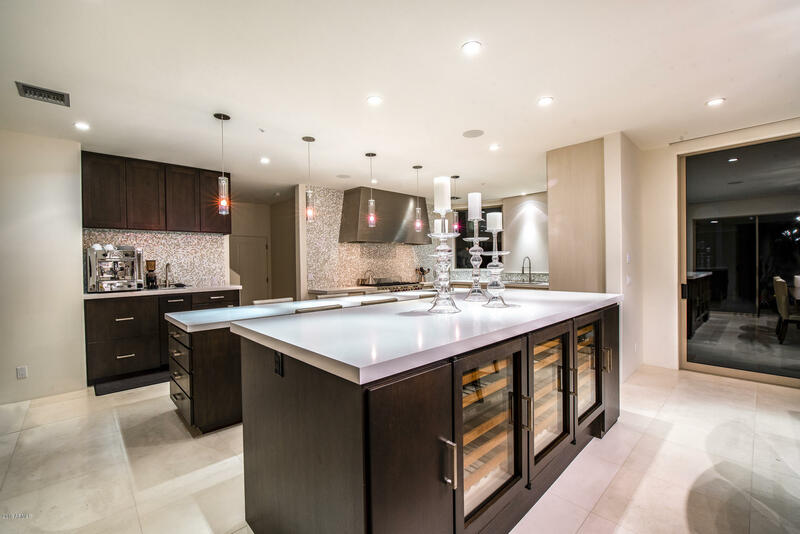 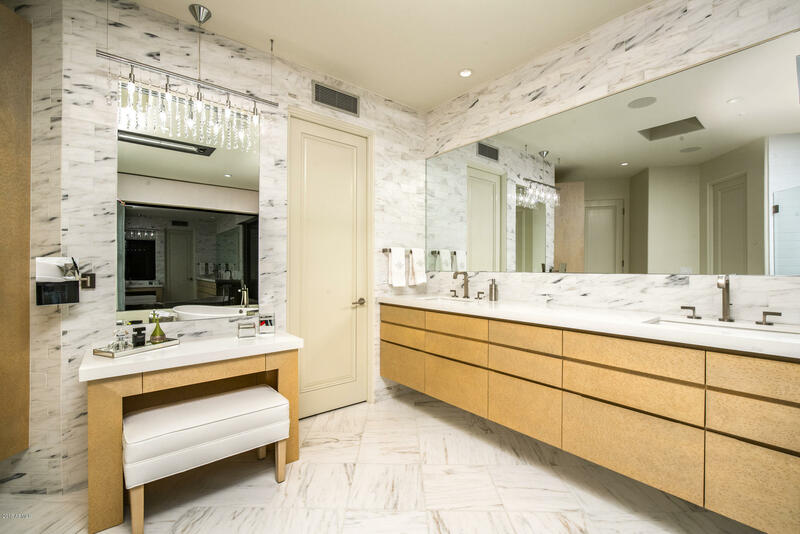 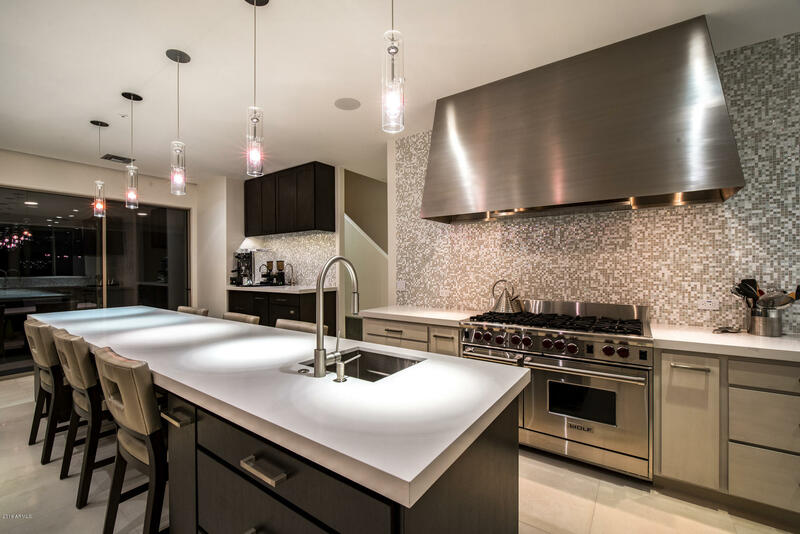 Gourmet kitchen features Wolfe and Subzero stainless steel appliances, 3 wine fridges, 2 dishwashers, custom stainless steel hood, mosaic tile backsplashes & quartz countertops. 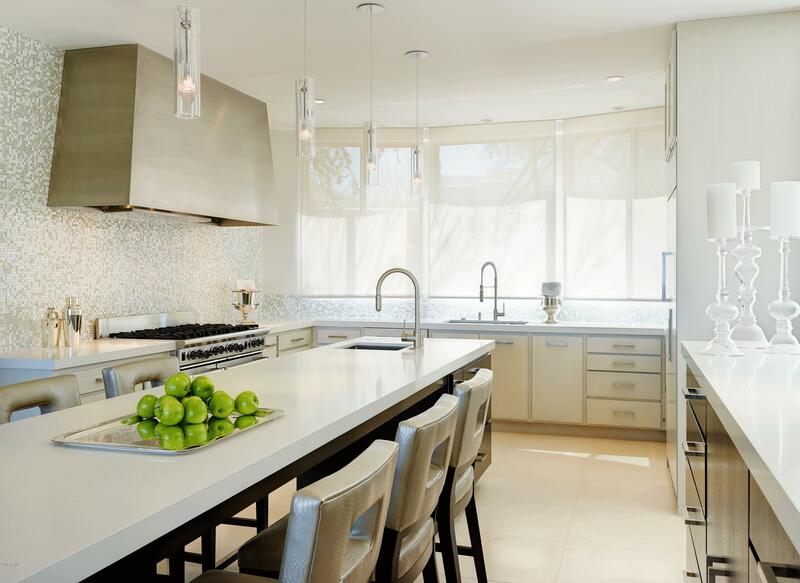 Electric shades throughout the home. 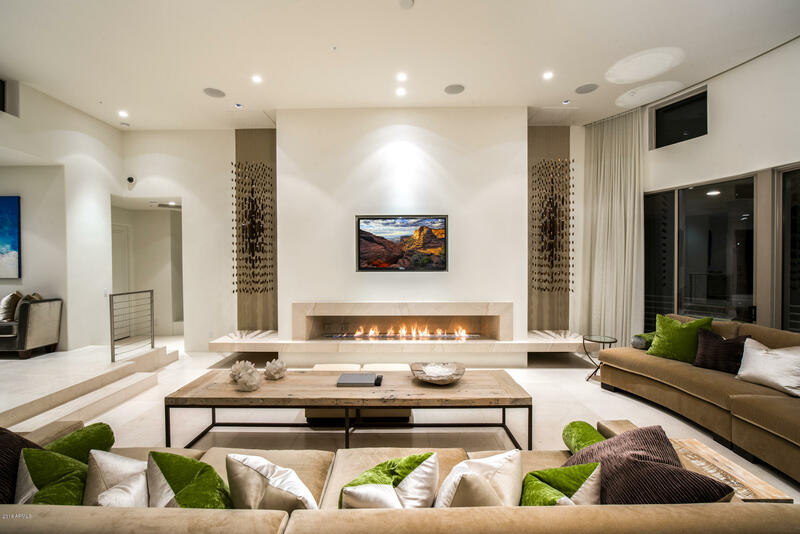 Control Four Home Automation System. 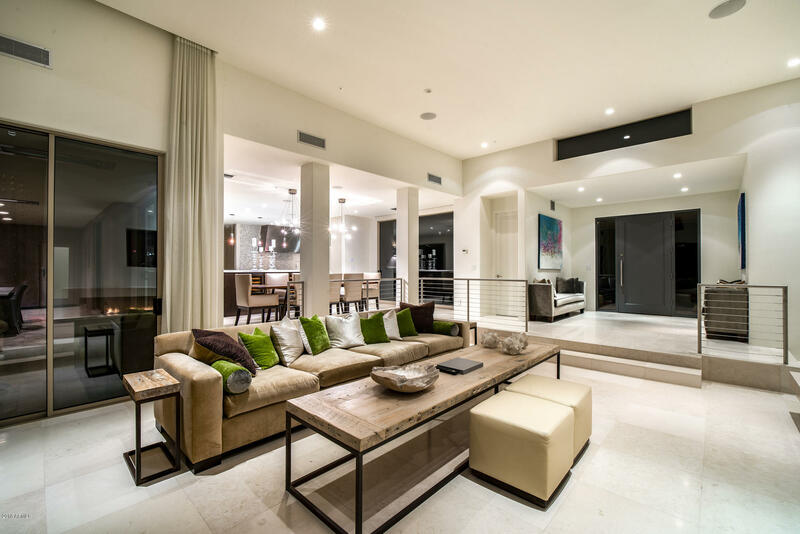 Formal living room & dining room w/separate breakfast nook. 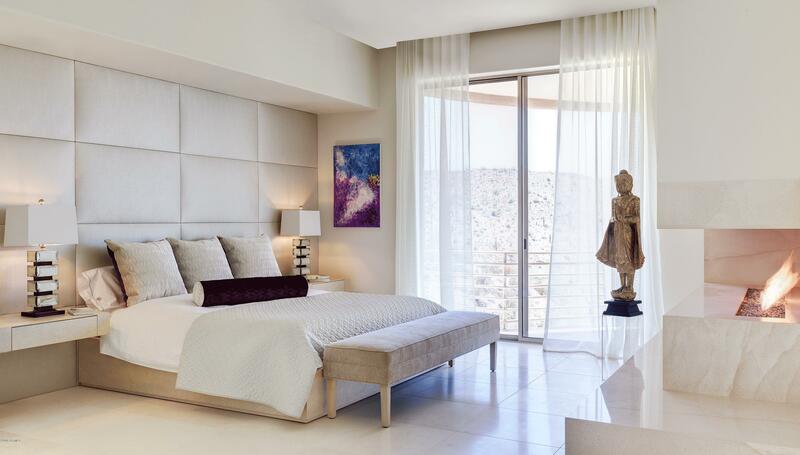 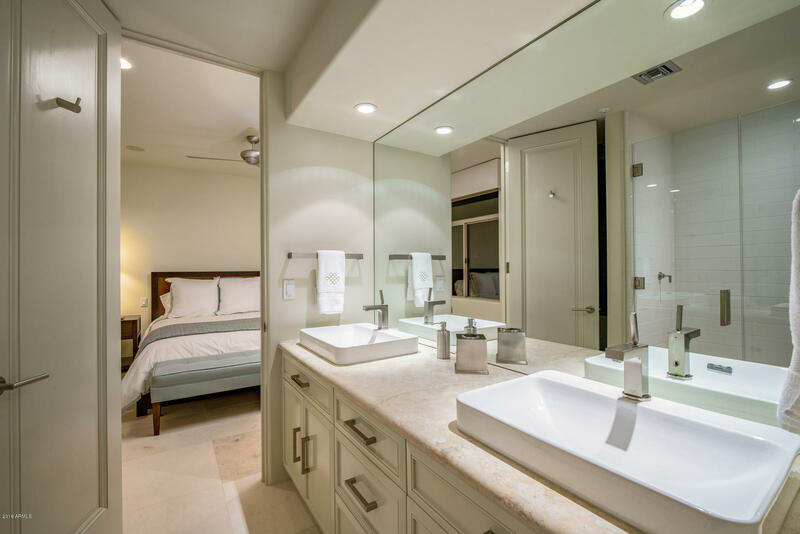 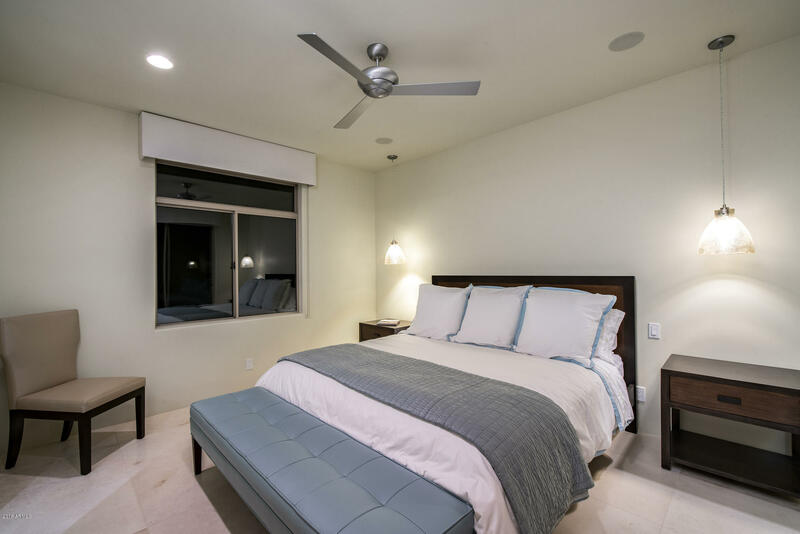 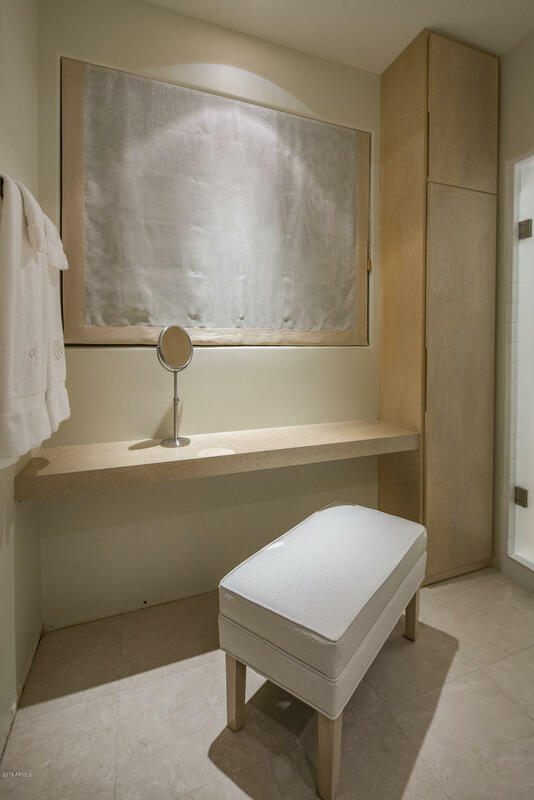 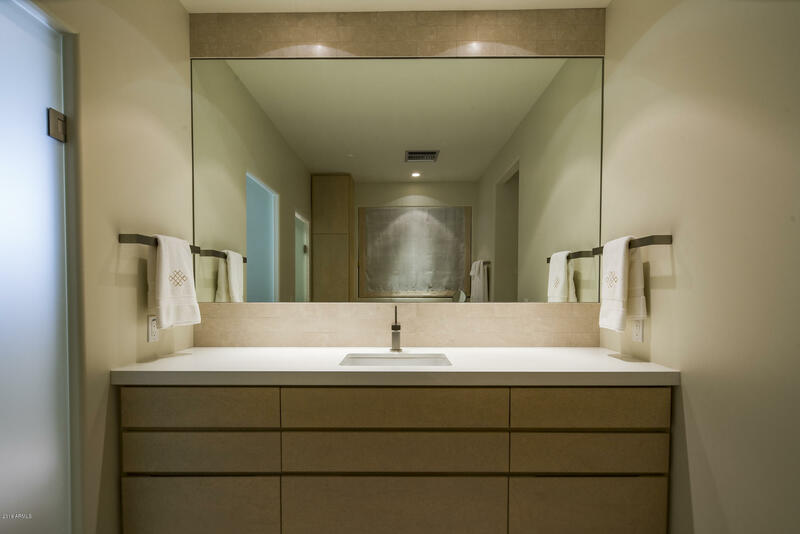 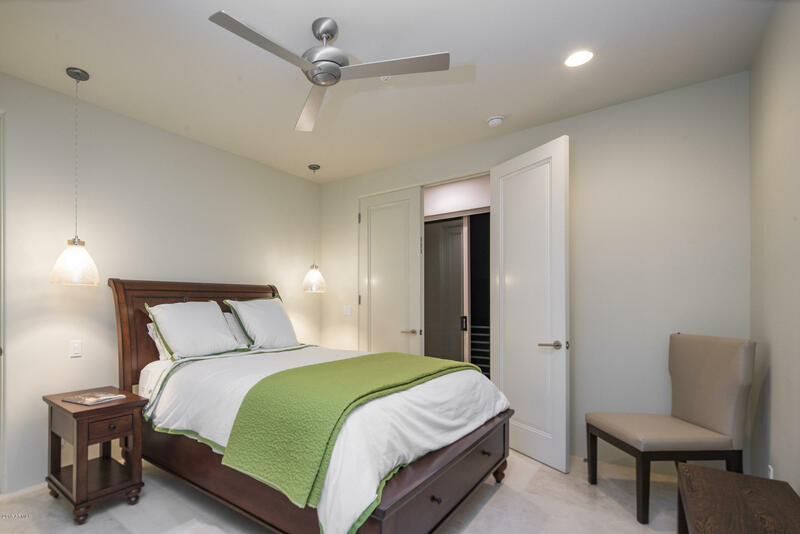 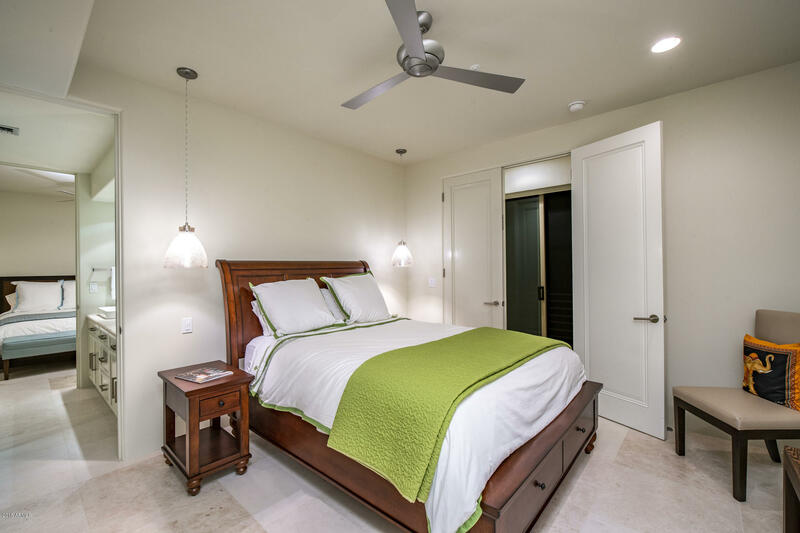 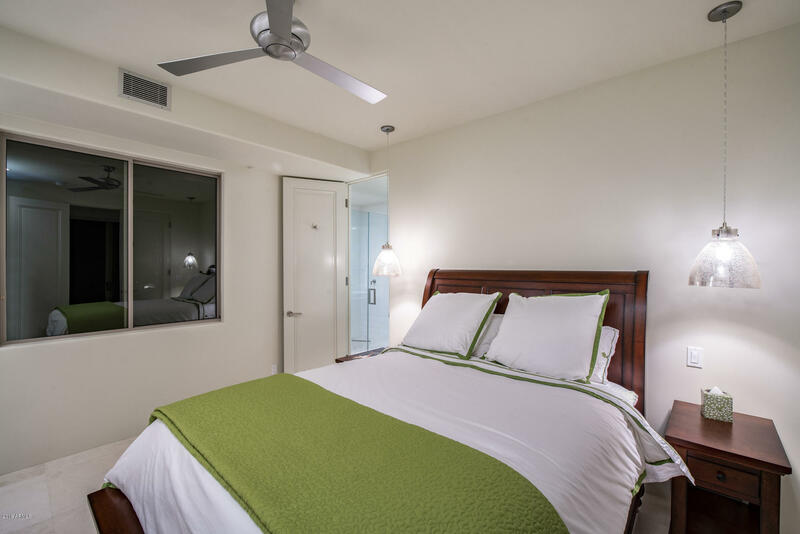 Master suite, office/den and guest suite are on the main level with 2 secondary upper level bedrooms.